CHRISTIAN Democratic Party leader Dan Pule and three others have insisted that Republican President Edgar Lungu is eligible to contest the 2021 Presidential elections. 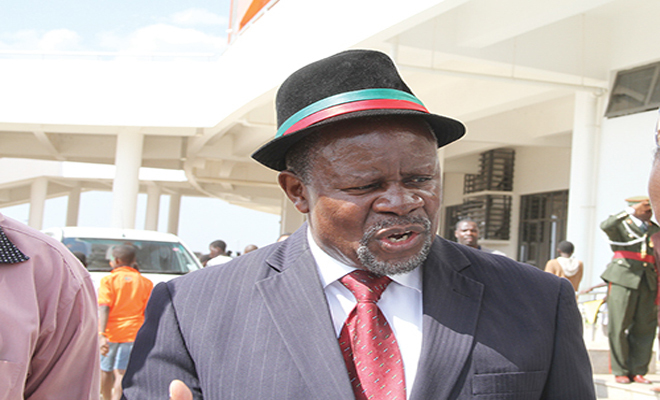 Dr Pule and three others have contended that was because the first term Mr Lungu served was not deemed to be a full term as he was finishing up a term left by the late President Michael Sata. Dr Pule, Zambia Republican Party president, Wright Musona, New Congress Party president Pastor Peter Chanda and Citizens Democratic Party President Robert Mwanza have asked the constitutional court to interpret the constitution and state whether or not Mr Lungu was eligible to contest in the 2021 Presidential elections. In their reply to the Law Association of Zambia (LAZ) and United Party for National Development submissions that Mr Lungu was not eligible to contest and hold office for another five years, Dr Pule and others said that the issue of retroactivity did not arise on account that the term which is deemed not to be a full term was not completed at the time that the Constitution was amended to introduce the rule that service of less than three years is not deemed to be a full term. Dr Pule and others said they would repeat their submissions to the court that the answer to both questions they have taken both courts for determination is in the affirmative. “President Edgar Chagwa Lungu is eligible on a purposive interpretation of Article 106 (5) and Article 106 (6) as read with Article 106 (3) of the Constitution to contest the presidential election,” they stated. The four have cited Attorney General as a respondent in the matter, while LAZ and UPND through its secretary general, Stephen Katuta are second and third respondents.